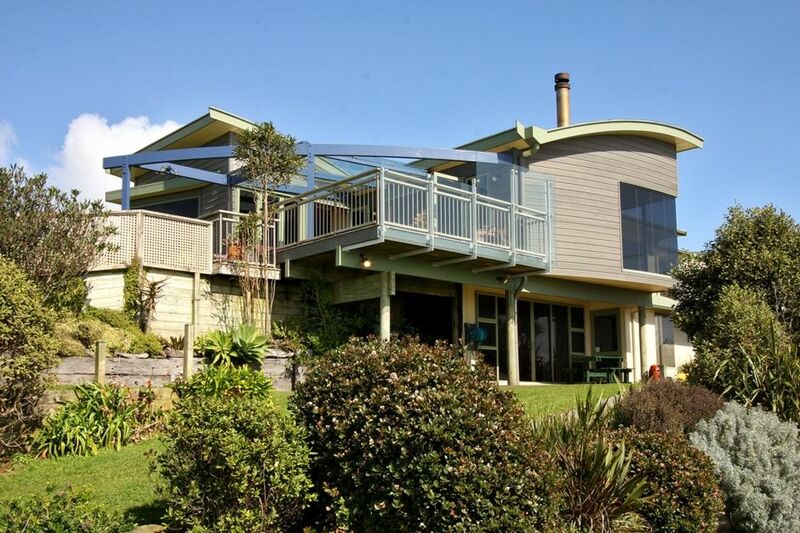 Ultimate Seaside Living at Wanaka Bay, New Plymouth. Walk off the lawn onto the Walk Way and them onto the Beach. Superbly designed for function and ultimate beach front living. Situated at the end of a prime beach front cul de sac, with adjacent reserves. Property is set amount mature gardens, which makes it very private. Off street parking with carport. Fenced private yard. Large deck to relax on and enjoy a glass of your favourite wine and watch the sun set over the ocean. Beach is amazing with good swimming, surfing,kite surfacing ,kayak fishing and diving right at your door step. Double garage is not for renters use. Tea, coffee, salt and pepper supplied. Built in Gas Heater for heating. A REFUNDABLE BOND IS REQUIRED FOR THIS PROPERTY. AND WILL BE REFUNDED WITHIN 24 HOURS AT THE END OF YOUR STAY. $250.00 per stay, providing there is no damage and the property is left clean and tidy as found. Pricing per night for 2 people is based on sharing 1 bedroom. extra charge for 2 people wanting 2 bedrooms. A REFUNDABLE BOND IS REQUIRED FOR THIS PROPERTY. AND WILL BE REFUNDED WITHIN 24 HOURS AT THE END OF YOUR STAY. $250.00 per stay. Please leave our property clean and tidy as you found it on arrival. THIS IS NOT A PARTY HOUSE,NO PARTIES, OR LARGE GATHERINGS. Two night minimum stay. Three night minimum stay on long weekends. 4 GUEST TO STAY AT ONE TIME ONLY. Beautiful stay in a lovely comfortable home with everything we could wish for. Close to parks and bike trails and wonderful restaurants and walking treks. Awesome weather and views from house to die for. This property is stunning,. If you are looking for a spot to relax and rejuveniate, this is it. If you have kids who enjoy the outdoors, you can't go wrong. The view is spectacular, the coastal walk is right at your finger tips, watching the waves crashing on the rocks is magical. This is a great area, away from the rat race but there are shops and cafes at Bell Block. The main town of New Plymouth is a 10 minute drive away. I wish I had stayed longer. The house has everything you need.